Combining a heritage look with today's innovation, the Nike Moon Racer QS features a durable upper with leather details reminiscent of the 1972 original and the modern comfort of Nike React foam. Its design and shape are influenced by Nike Running shoes for a fast look. 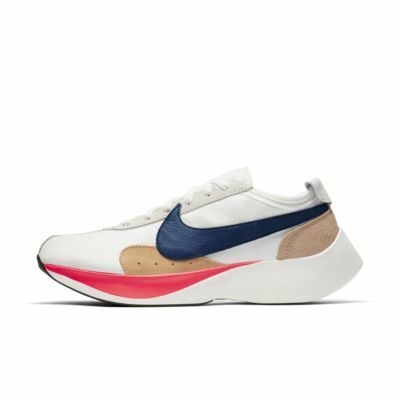 Combining a heritage look with today&apos;s innovation, the Nike Moon Racer QS features a durable upper with leather details reminiscent of the 1972 original and the modern comfort of Nike React foam. Its design and shape are influenced by Nike Running shoes for a fast look. Durable fabric upper with leather details for a heritage-inspired look. Rubber is placed in high-wear areas for durable traction. NIKE MOON RACER QS SNEAKERS GOOD!!! !